After a jury convicted Antonio Neal Gray of “attempted robbery with a dangerous weapon, conspiracy to commit robbery with a dangerous weapon, and first degree burglary” and the trial judge sentenced him to prison for “23 to 40 months for conspiracy to commit robbery with a dangerous weapon and a consecutive term of 59 to 83 months imprisonment for attempted robbery with a dangerous weapon and first degree burglary”, he appealed. State v. Gray, 758 S.E.2d 699 (Court ofAppeals of North Carolina 2014). Isai Ntirenganya was a car dealer and a club promoter in Raleigh. Through his role as a promoter, Ntirenganya met Alneisa McKoy, who expressed interest in doing some promotion work. On the evening of 11 July 2012, Ntirenganya met up with. McKoy and her friend, Allison Smith, at a sweepstakes parlor and took them to his friend's home in a trailer park off New Bern Avenue to talk about promotion work. Ntirenganya's friend, Kory Clark, was the only one home at the time. Ntirenganya and Clark testified that they and the two women were just hanging out, talking about promotion opportunities, drinking, and smoking marijuana. Ntirenganya and Clark recalled that during this time, McKoy and. Smith were on their phones texting, were giggling and whispering to each other, and were back and forth to the bathroom numerous times. Clark found their behavior suspicious. At some point, Clark left the trailer to buy beer and cigarettes from a nearby convenience store. The women wanted to go with [him] and leave Ntirenganya by himself, but Clark left without them. When [he] returned several minutes later, he locked the door behind him. Shortly thereafter, Ntirenganya and McKoy went to a back room in the trailer to talk. At that time, two men burst through the door that Clark had locked upon his return from the convenience store. Ntirenganya testified that someone jumped on his back and they tumbled to the floor. Ntirenganya recalled someone instructing him to `[g]et on the ground[ ]’ and a female screaming `[s]omebody got a gun.’ The man that jumped on Ntirenganya's back was smaller than Ntirenganya and Ntirenganya was able to wrestle away from him and flee the trailer. Clark testified that he heard the commotion and fled the trailer through another door. Clark did not see the intruders. Both Ntirenganya and Clark indicated nothing appeared to be missing from the trailer following the attempted robbery. Ntirenganya's wallet and keys, which were on top of cabinets near the door, appeared undisturbed. they planned to rob Ntirenganya with James Diaz and [Gray], who they identified as the intruders. At the time, Smith was in a relationship with Diaz and McKoy was in a relationship with [Gray]. Although [Gray] did not initially want to take part in the robbery, he went along with the plan. Smith and McKoy each described the plan in detail and testified that they were communicating with Diaz and [Gray] through text messages to give directions to the trailer, to inform them how many people were in the trailer, and to let them know the door to the trailer was unlocked. These text message conversations were admitted into evidence at trial. text messages between the perpetrators on the night of the attempted robbery. Detective Snowden testified about three separate text message conversations: a conversation between McKoy and [Gray], a conversation between Diaz and Smith, and a conversation between Diaz and McKoy. text messages between McKoy and [Gray], Detective Snowden stated `it was clear . . . [McKoy] had assisted [Gary] with the plan and execution of the attempted robbery. And it looked like directions were given to [his] cell phone and allowing access to the residence.’ Detective Snowden also testified that the address provided to [Gary] by McKoy in the text messages corresponded to the trailer where the attempted robbery took place and it appeared [Gary] was asking McKoy if the door to the trailer was open. Gray did not object to Snowden’s testimony at trial, but on appeal claimed the trial judge erred in letting Snowden testify as to his opinions and observations of the text messages. State v. Gray, supra. The Court of Appeals did not agree, noting that under North Carolina Rules of Appellate Procedure Rule 10(a)(4), an “`issue that was not preserved by objection noted at trial . . . nevertheless may be made the basis of an issue presented on appeal when the judicial action questioned is specifically and distinctly contended to amount to plain error.’” State v. Gray, supra. The Court of Appeals explained that to constitute “plain error,” “a defendant must establish prejudice that, after examination of the entire record, the error had a probable impact on the jury's finding that the defendant was guilty.” State v. Gray, supra. 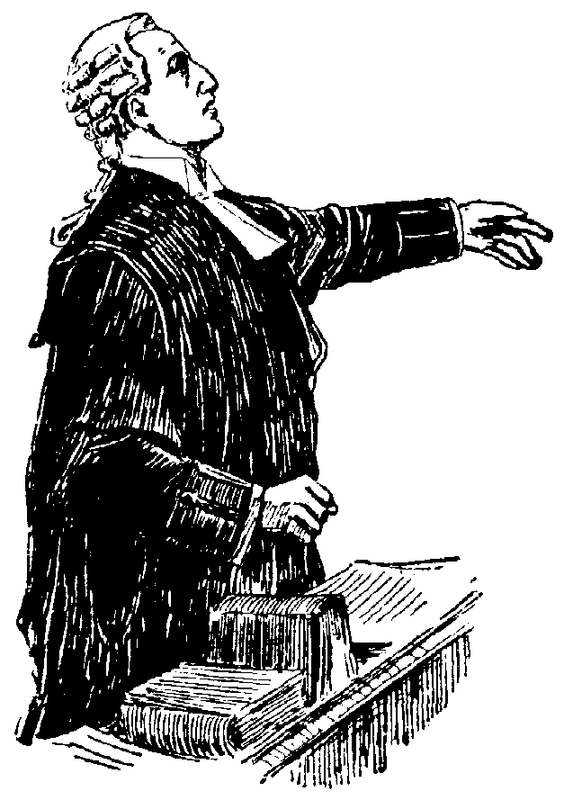 It therefore held that “[r]egardless of whether or not the admission of Detective Snowden's testimony concerning his opinion and observations from the text messages was error, given the overwhelming and uncontroverted evidence of [Gray’s] guilt in the record, the alleged error does not amount to plain error requiring a new trial.” State v. Gray, supra. initially object to the admission of the photographs of the text messages and they were admitted into evidence as the State's exhibits ten and twelve. At the request of the State, Detective Snowden read the text messages photographed in exhibit ten aloud in open court. [Gary] did not object. However, immediately after exhibit twelve was admitted and the State requested that Detective Snowden read the photographed text messages between Diaz and McKoy in open court, defense counsel asked to be heard and objected to the admission of exhibit twelve based on lack of authentication. After hearing arguments, the trial court overruled [Gray’s] objection. [Gray] now contends the trial court erred in allowing the photographs of the text messages between Diaz and the two women to be admitted into evidence. On appeal, Gray argued that the trial judge erred in allowing the photographs of the text messages to be admitted into evidence. State v. Gray, supra. Gray’s objection to the admission of exhibit twelve was “untimely,” i.e., late, which meant he once again had not preserved the issue for review on appeal, but the Court of Appeals addressed the issue, noting that “the following analysis for exhibit twelve applies equally to exhibit ten.” State v. Gray, supra. State v. Taylor, 178 N.C. App. 395, 632 S.E.2d 218 (North Carolina Court of Appeals 2006). In Taylor, the State sought to admit printouts or transcripts of text messages sent to and from the victim's cell phone. State v. Taylor, supra. In order to authenticate the text messages, the State called employees of the cell phone company to testify concerning how the company kept records of its customers' text messages and how they are retrieved. State v. Taylor, supra. This court held the combination of the employee's testimony and circumstantial evidence within the text messages was sufficient to authenticate the evidence. State v. Taylor, supra. [Gray] now argues the same type of testimony was needed in this case to authenticate the photographs of the text messages admitted as exhibit twelve. We disagree. provide that `[t]he requirement of authentication or identification as a condition precedent to admissibility is satisfied by evidence sufficient to support a finding that the matter in question is what its proponent claims.’ N.C. General Statutes § 8C–1, Rule 901(a) (2013). The rule further provides a nonexclusive list of ways to authenticate evidence, including `testimony of a witness with knowledge “that a matter is what it is claimed to be.”’ State v. Taylor, supra (quoting N.C. General Statutes § 8C–1, Rule 901(b)(1)). [Detective Snowden testified that he took pictures of text messages on Diaz's cell phone while searching the phone incident to Diaz's arrest. Detective Snowden then identified the photographs in exhibit twelve as screen shots of Diaz’s cell phone and testified that they were in substantially the same condition as when he obtained them. McKoy, with whom Diaz was communicating in the text messages, also testified to the authenticity of exhibit twelve. Specifically, McKoy testified that she, Diaz, Smith, and [Gray] had planned to rob Ntirenganya. The plan was that she and Smith would meet up with Ntirenganya and communicate with Diaz and [Gray] through text messages to let them know what was going on. McKoy testified that she sent text messages to Diaz and [Gray] telling them where the trailer was located, how many people were in the trailer, and that the door was open. McKoy then identified exhibit twelve as the text message conversation between her and Diaz. McKoy further stated exhibit twelve was an accurate representation of her text message conversation with Diaz. the testimony in this case by Detective Snowden, who recovered the text messages from Diaz's cellphone, and McKoy, with whom Diaz was communicating in the text messages illustrated in exhibit twelve, was sufficient to authenticate exhibit twelve. Thus, the trial court did not err in admitting the photographs into evidence. It also held that the trial judge did not err in admitting Detective Snowden’s testimony and, for that and other reasons, affirmed Gray’s conviction. State v. Gray, supra.